Skya Eiland is a flight attendant based in LAX. 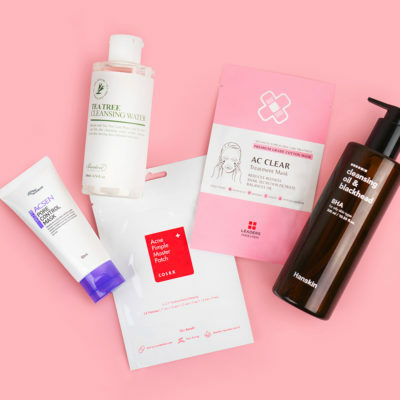 As a half-Korean, Skya is an expert at keeping her skin glowing and smooth, both on and off-duty. 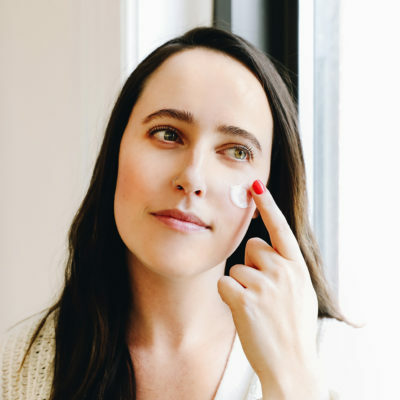 Find out what products she loves and the skin care hacks she swears by for flawless skin! Can you tell us about your current favorite products? In the morning, I start my routine with the Banila Co Clean it Zero Classic. It’s so effective in taking away dirt, makeup and excess oil from my face without drying it out. I have oily to combination skin, and this product literally just melts onto your face, leaving your skin moisturized. In my opinion, it also helps manage enlarge pores and oily T-zones. Very little goes a long way. Lately, I have been obsessed with double cleansing with the Glossier Milky Jelly Cleanser. 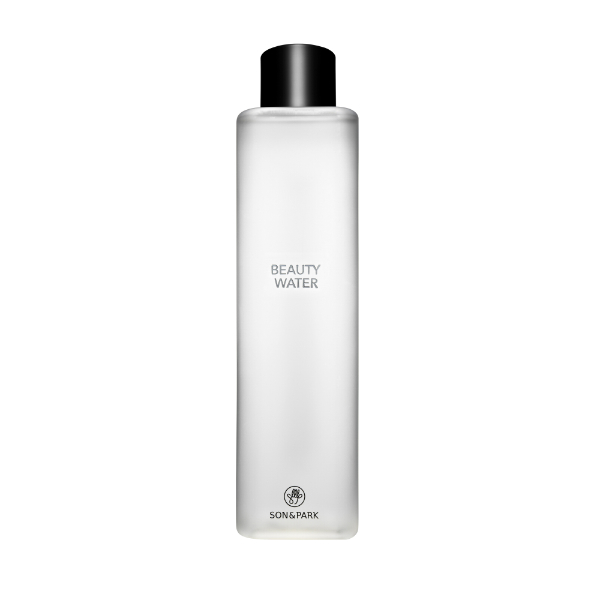 As a flight attendant, my skin tends to dry out sometimes, so this product is basically an extra barrier that prevents dehydrated skin. Next, I tone my face with the Son & Park Beauty Water aka my holy grail! Being half-Korean, I’ve always been told growing up that toning your skin is a must in Asian culture. This product never irritates nor stings my skin, and I apply it with my fingertips in an upward motion, starting from my neck and going all the way up to my face. I can see the radiance and tightness in my skin afterwards. I’m already almost done with my second bottle; I’m obsessed. 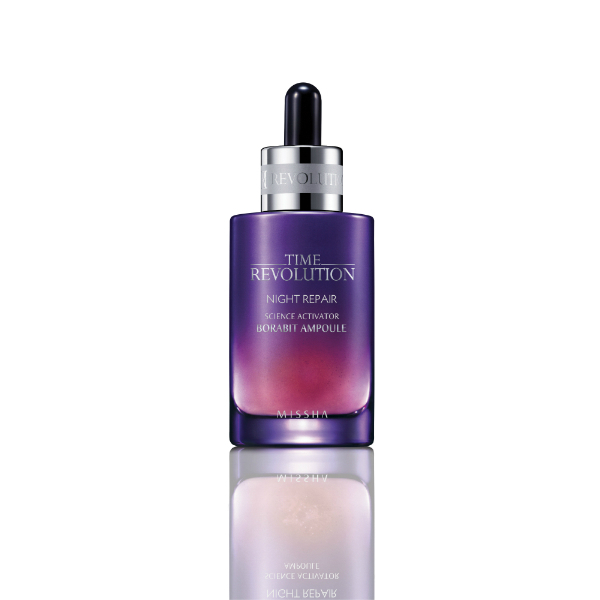 I then apply the Missha Time Revolution First Treatment Essence Intensive Moist as my next step. What I love about this product is how the formula contains over 90% fermented yeast extract from Himalayan purple barley, which helps plump skin and reduces pigmentation. It overall just evens out my skin tone, making it brighter by 100%. I’m never taking this product out of my routine. 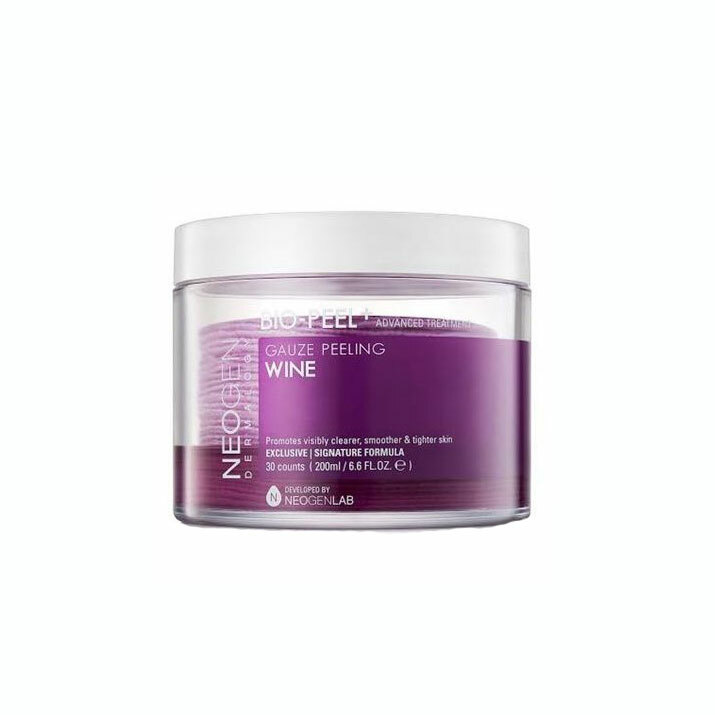 The days when I do exfoliate, I use Neogen Bio-Peel Gauze Peeling Wine, and oh my gosh, it smells like candy to me! When I’m on the plane, I can feel my skin become congested from all the germs in the air. So using this at night after I steam my face with a hot towel for a little bit helps clean out my pores. I have to carry the Bio-Peel in my suitcase at all times. For face mists, I spritz my face with either the Dr. Jart+ Pore Medic Pore Minish Mist or the Avène Thermal Spring Water, and I gently pat my face to help it absorb. In the nighttime, my routine is pretty much the same, except I include the Missha Time Revolution Night Repair New Science Activator Ampoule. My face doesn’t feel heavy in the morning, and I love that it’s anti-aging and helps repair skin overnight with a boost of hydration. It makes sure you don’t wake up with dry, crusty skin–nobody wants that. I also carry so many sheet masks, it’s insane. 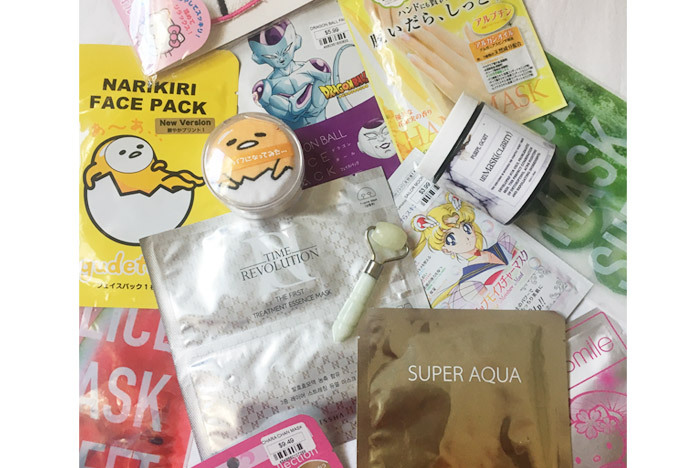 My top beauty stores to buy sheet masks would be the LA Koreatown Galleria Market, Larchmont Beauty, Tony Moly and Maneki Neko. In the nighttime, I end my routine with the Laneige Lip Sleeping Mask after drinking a cup of tea to seal the moisture onto my lips. Baby booty soft lips is my thing. 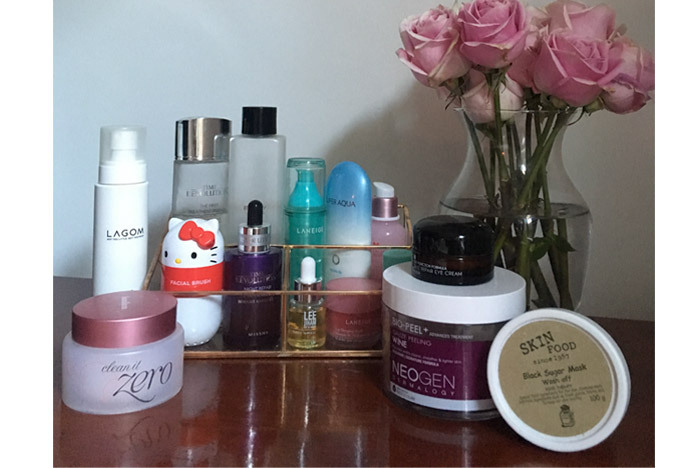 What is the best skin care advice you’ve gotten from your Korean mother? Always pat dry your face because vigorously rubbing a towel on it can irritate the skin. I also know that my mother never sleeps on her stomach with her face down on the pillow so she can avoid getting wrinkles. Unfortunately, I sleep like a wild animal in all positions, but I thought I’d throw it out there in case anyone’s up for the challenge. Clearly, it has worked for my mother, who has no wrinkles. Lastly, always wear SPF, even if the sun is not out. I’ve spoken to a lot of women who have dark spots on their face because they never took wearing sunscreen seriously. From a young age, my mom always emphasized the importance of SPF. 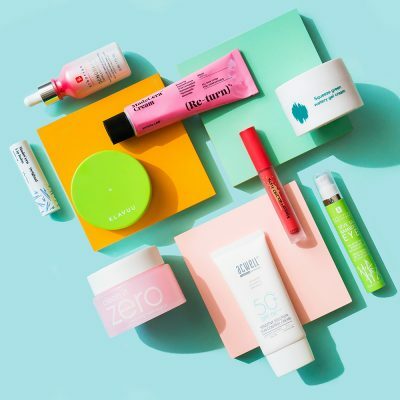 What do you love about Korean skin care products? Which ones have been the most groundbreaking for you? What I love most about Korean skin care products is their focus on gentle ingredients suitable for all skin types. I also think it helps you develop a routine and convert it into a lifestyle that’s peaceful and fun. It’s almost like a universal language. My top 3 groundbreaking products would have to be the Son & Park Beauty Water, Neogen Bio-Peel Gauze Peeling Wine and the Missha Time Revolution First Treatment Essence Intensive Moist. How do you adjust your routine when you’re on duty as a flight attendant? I like to carry a small pouch with products I can use on board when I’m in the lavatory during down time. 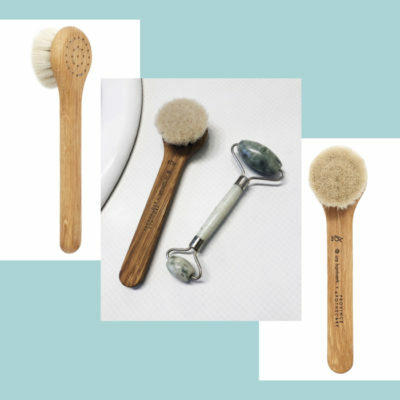 I carry my mini jade stone face roller and give myself a little massage to help with circulation and depuffing. When I’m getting ready to go on duty, I do like to doll up a bit, but less is more for me in terms of makeup. 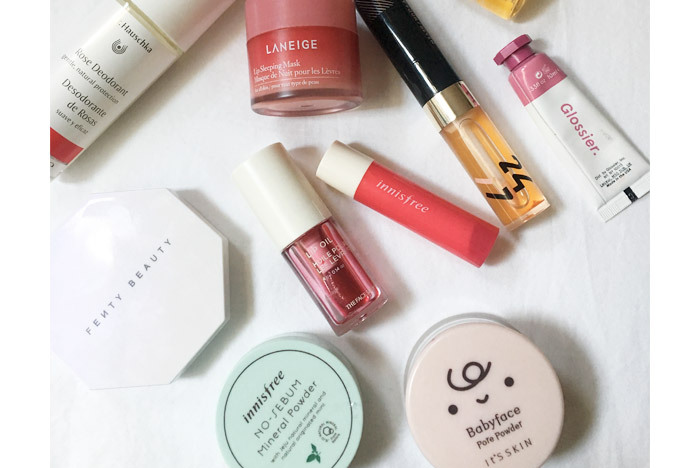 I’ve been using the Juice Beauty SPF 30 Tinted Mineral Moisturizer with a red or pink lipstick or gloss, since that is required as uniform, and some blush, either Glossier Cloud Paint or Peripera Ah Much Real My Blusher in Pleased Pink. Blushes in tubes have clearly been my thing for some time now and they’re just so much easier to carry around. If my skin is acting up around the T-zone, I like to touch up that area with the Innisfree No Sebum Mineral Powder. I’m not big on mattifying my face, but this product balances out my oily T-zone to help moisturize it without completely drying it out. I also love that there’s Jeju natural minerals and mint extracts in it. What is the biggest skin issue you encounter from being on a plane so much, and how do you combat that? Dry, dehydrated skin, specifically around my nose and tired eyes. My solution for both is using this product called the Caolin Pore Glowing Moisture Stick. I also carry eye gel masks in my suitcase for my layovers. Sometimes, I like to apply an ice cube around my face and under my eyes to help with jet lag as well. Oh! And I use the travel size Avène Thermal Spring Water. What do you think is the best skin care product for being on a plane? Honestly, any type of lip balm, hand cream, face mist and hand sanitizer. I rotate between my Dior Addict Lip Glow, Innisfree Eco Flower Tint, and Glossier Balm Dotcom. I have an addiction to lip products. For hand cream, I currently carry the Weleda Skin Food and Yu-Be Moisturizing Skin Cream. If you’re like me and like to try your best to avoid getting sick, carry a travel sized hand sanitizer at all times. What are some of the best skin care hacks you’ve come up with as a flight attendant? I have an older sister who’s an esthetician and has an all-natural skin care line called Purplgoat. If I’m not using sheet masks, I use her product called unMask (Clarity) that contains organic blackstrap molasses, bentonite clay, and horsetail, just to name a few ingredients. I feel like it’s important to always carry a back up face mask because sometimes you can just apply it to specific areas on the face as opposed to wasting one whole sheet mask. Aside from using all these products I’ve already mentioned, some of the best skin care hacks I’ve received and come up with is to always drink water, change out your face towel every week and always carry one with you in your suitcase. For some reason, I always feel like hotel face towels are so rough. When we talk more than just skin deep, as flight attendants, we can get caught up eating heavy, crappy foods from hotels and airports, so packing foods that beautify your body and staying consistent is key. 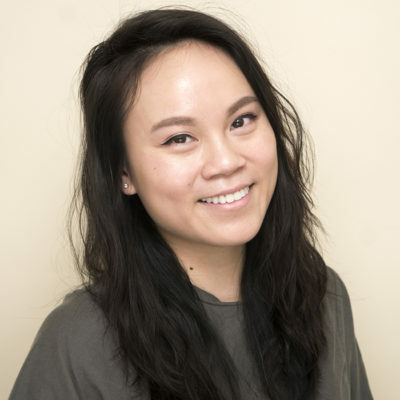 I’m definitely not a nutritionist, but I like to carry different varieties of teas (barley, ginger and oolong are good for skin), fresh fruits and veggies, brown rice, fermented foods (yes, shout out kimchi) and pretty much anything you can cook at home and pack for your trips–sometimes, we can be gone for up to 6 days. I also try to stay away from dairy. 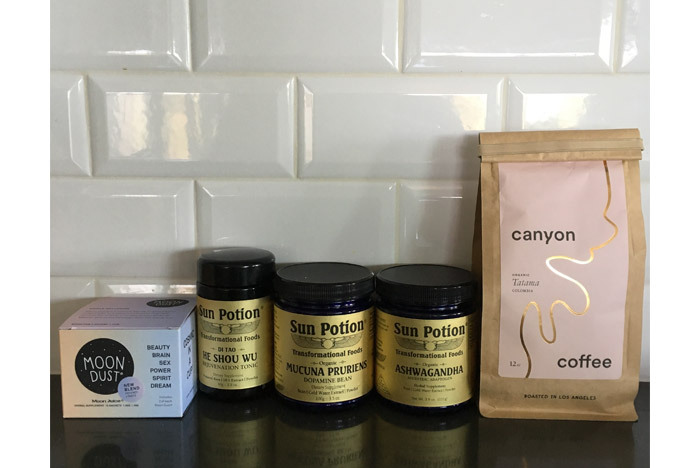 When it comes to herbal supplements for the skin, I take vitamin C, tocotrienols from Sun Potion and Vital Proteins Collagen Peptides that I buy from Erewhon Market. 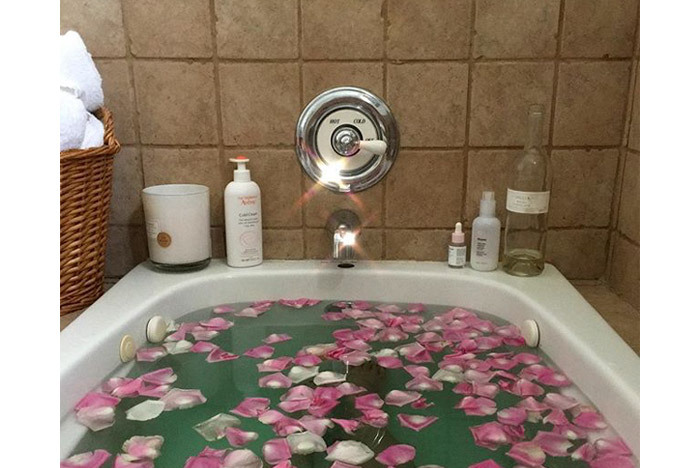 There are so many diet trends out there, but instead of overwhelming yourself to use specific products or follow certain facial procedures, taking a moment to just listen to your skin and doing your own research really help you embrace a routine you genuinely enjoy doing, so you can turn that into a healthy lifestyle. 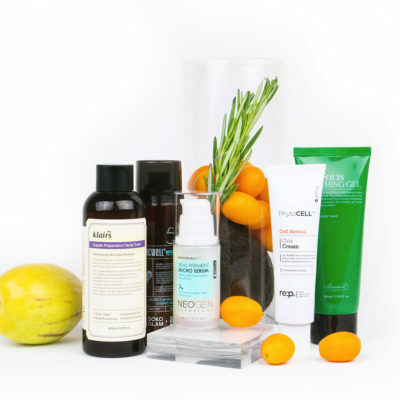 + What’s your hack for keeping your skin healthy during travel? Let us know in the comments! Klog Chat: What Products Have You Discovered a Surprising Use For?